Dr. Novak sees all patients by himself to assure that every patient receives the highest quality of care. For every procedure he is accompanied by his assistants Melanie or Ingrid. 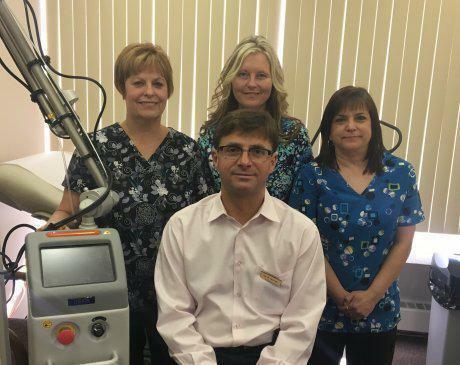 Dr. Novak is highly skilled in latest medical technologies and provides consultations and procedures in warm and welcoming environment. Should you need a surgery, this will be booked and performed at the Thunder Bay Regional Health Sciences Centre. Dr. Novak, as an assistant professor at the Northern Ontario School of Medicine, is frequently accompanied by medical learners - students or residents. If you wish a learners not to be involved in your care, please notify the receptionist upon arrival. We strive to provide every patient with professional and warm approach to make every visit a positive and meaningful experience.